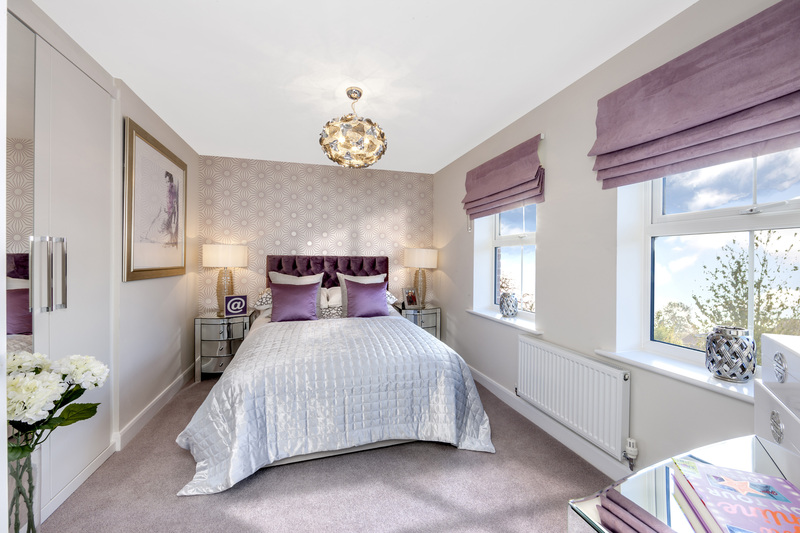 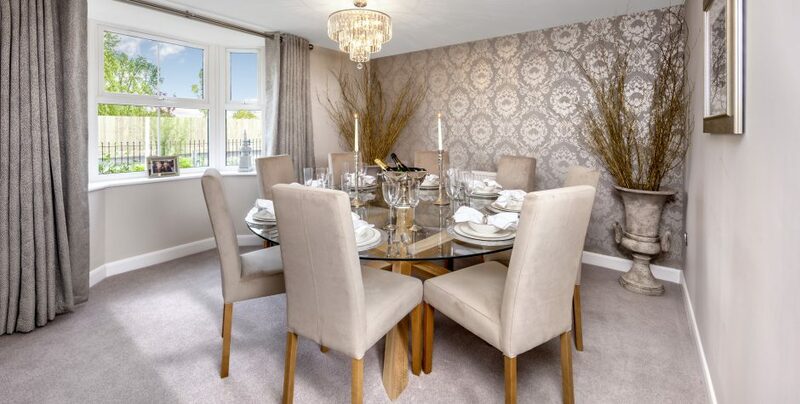 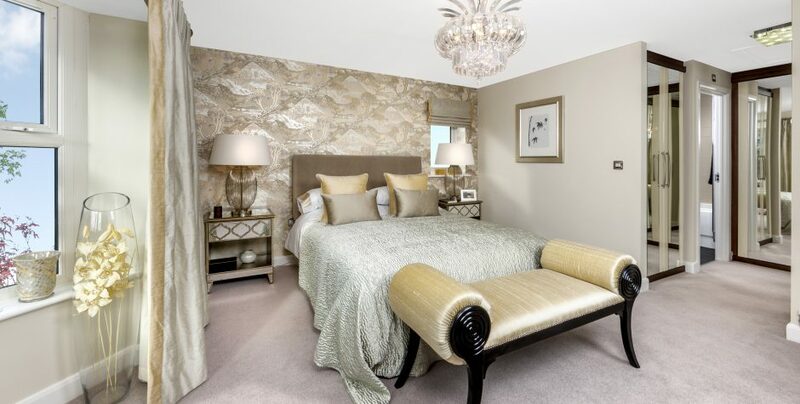 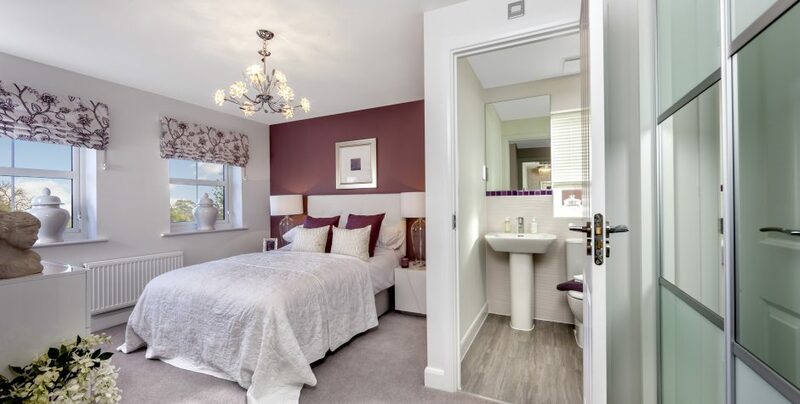 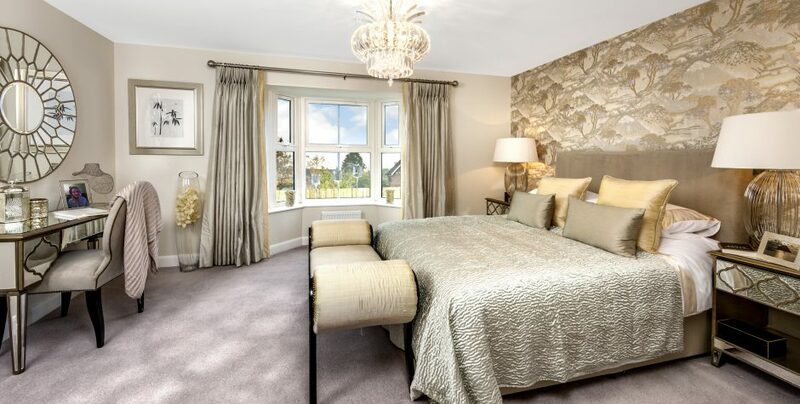 This five bedroom show home on the Spireswood Grange development in a stunning Hurstpierpoint village location was designed in a sophisticated palette of taupe grey, silver and mulberry. 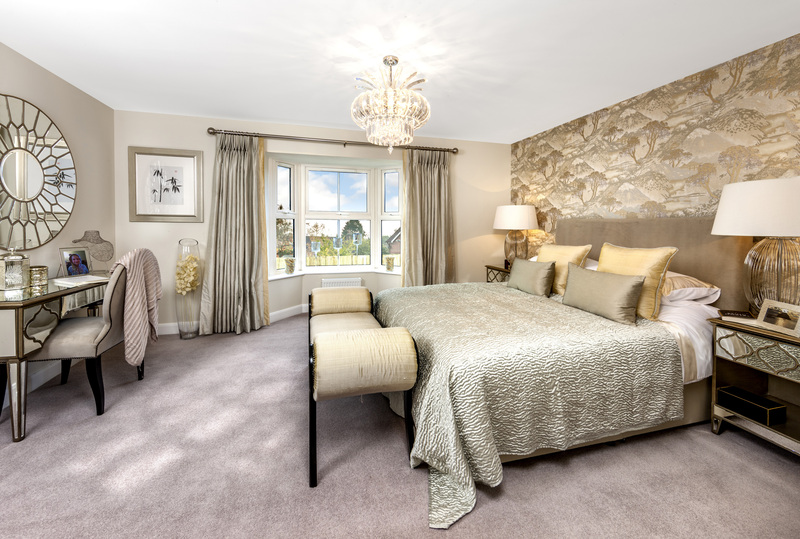 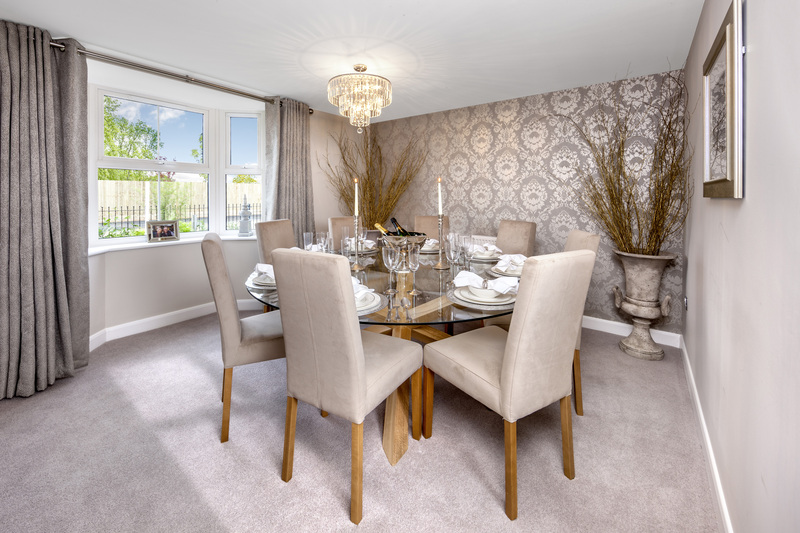 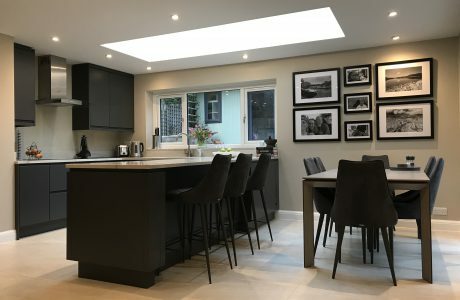 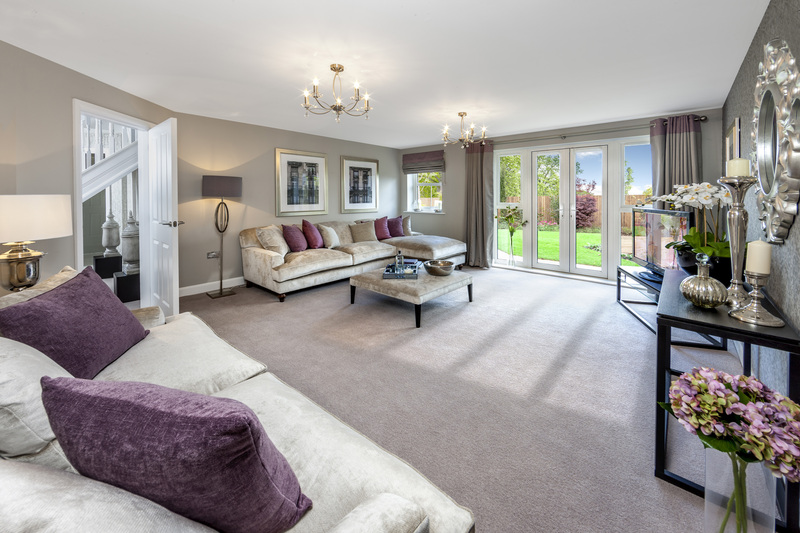 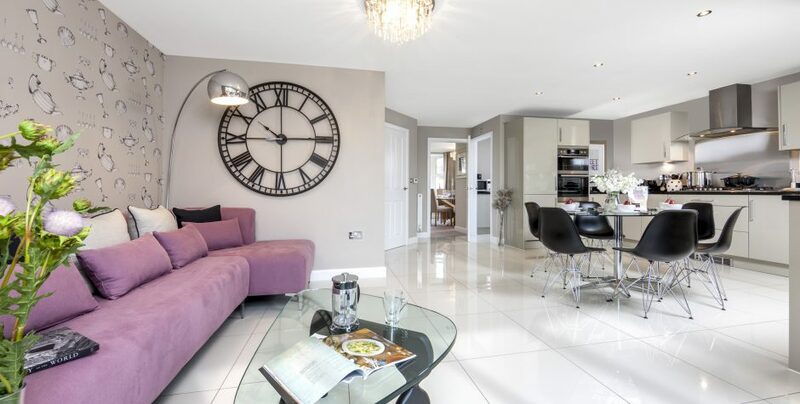 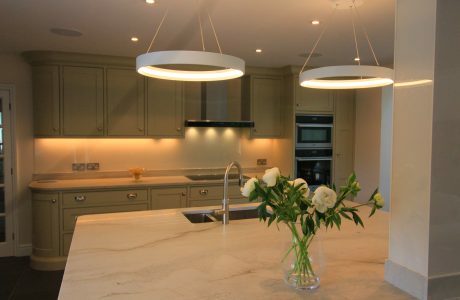 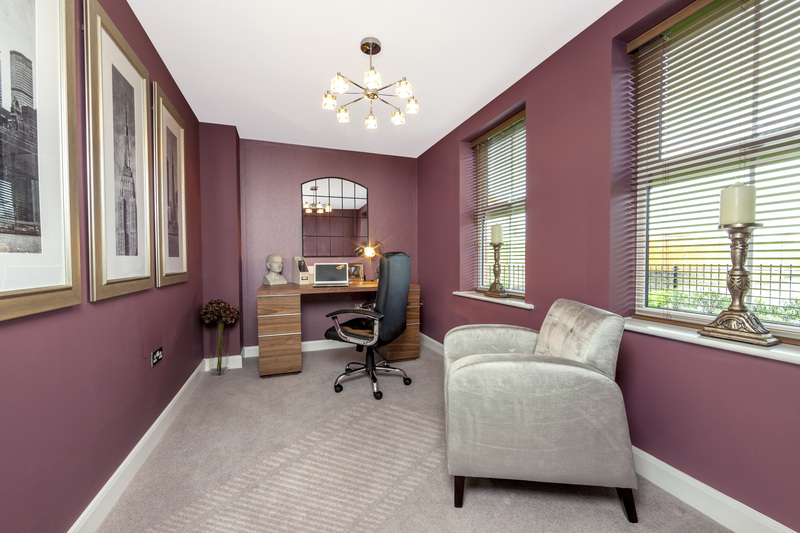 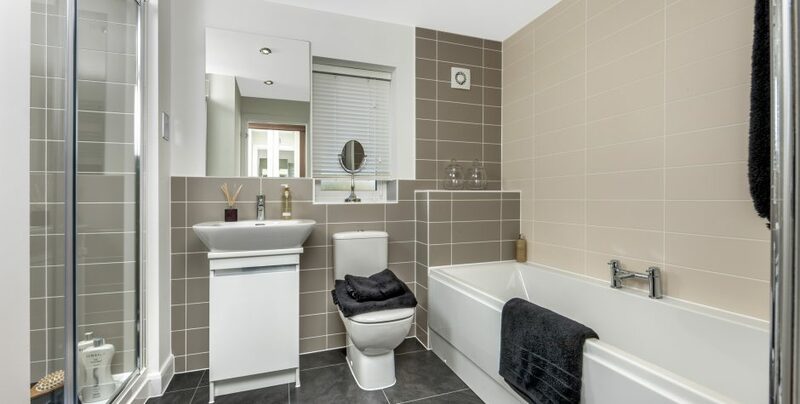 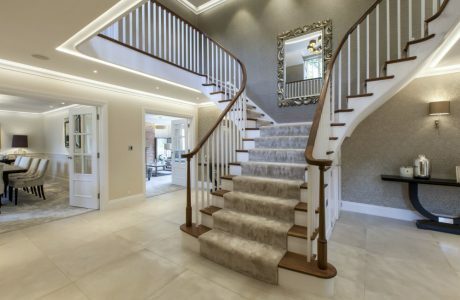 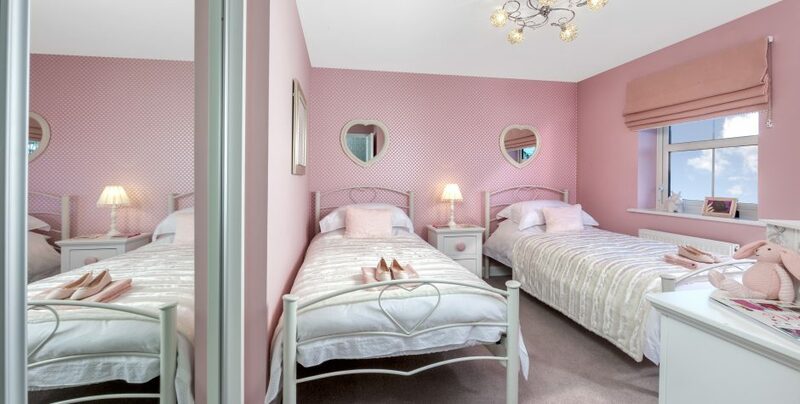 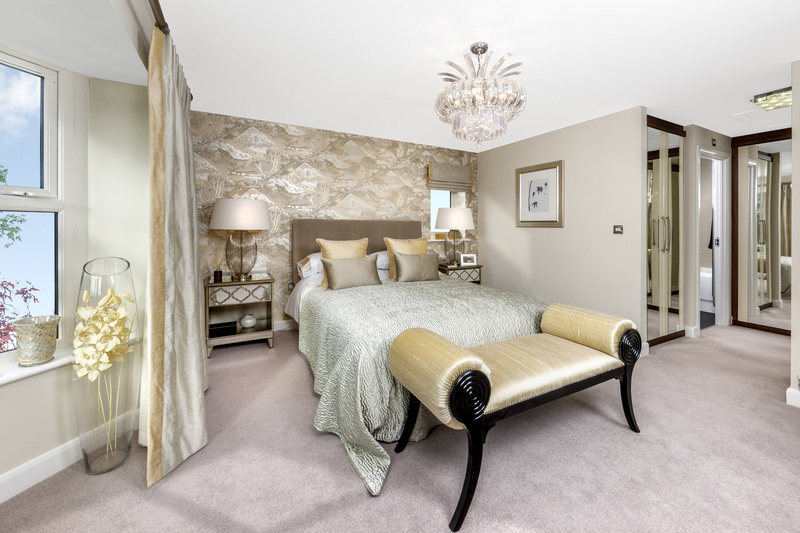 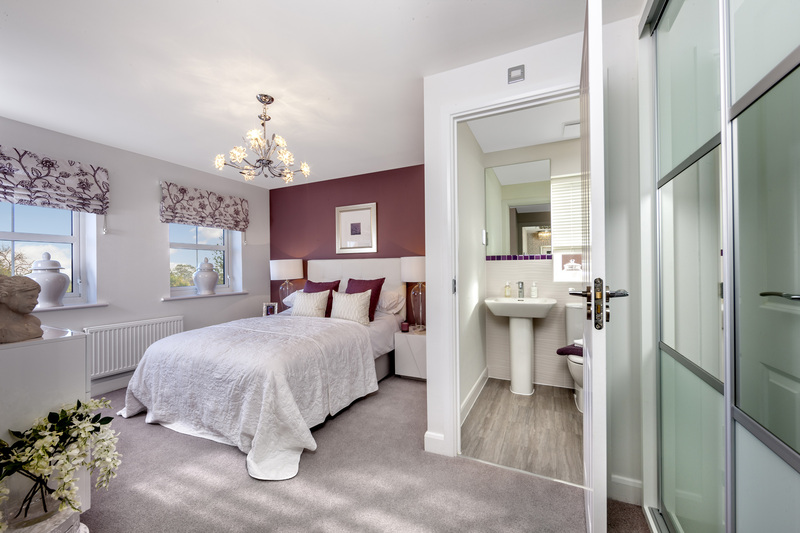 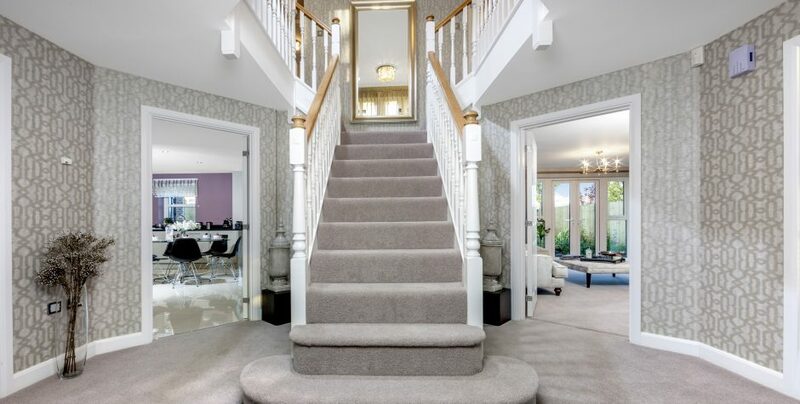 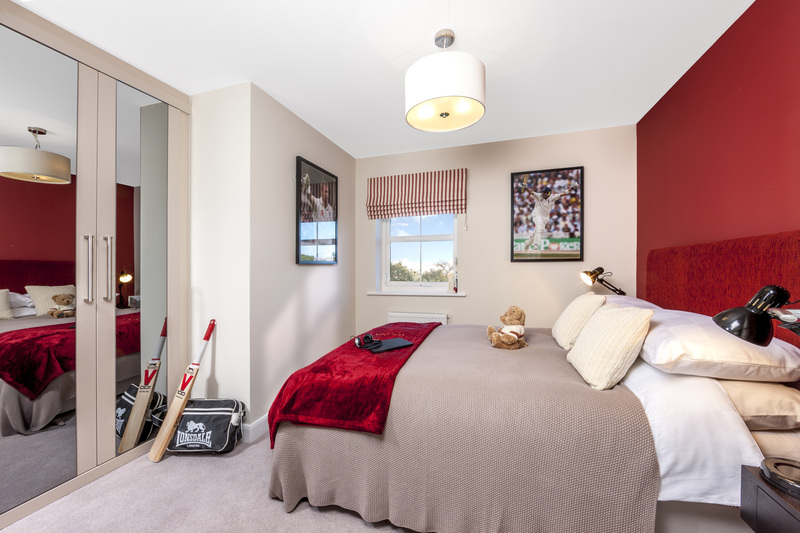 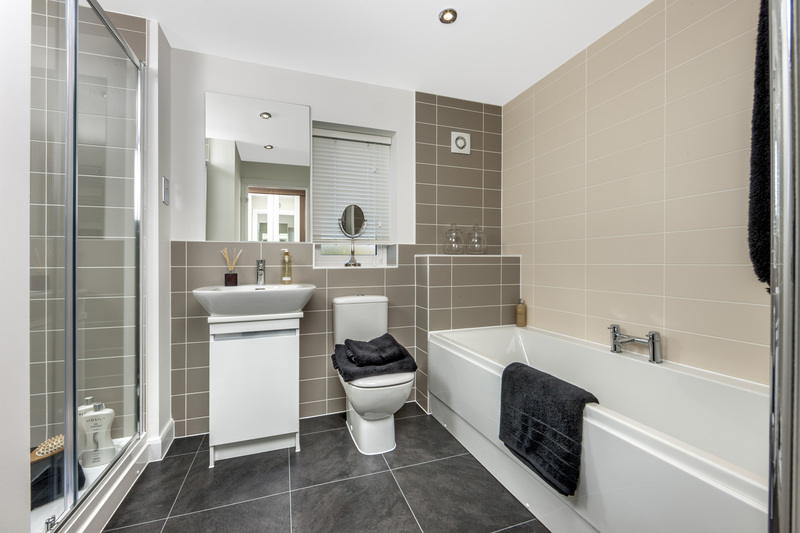 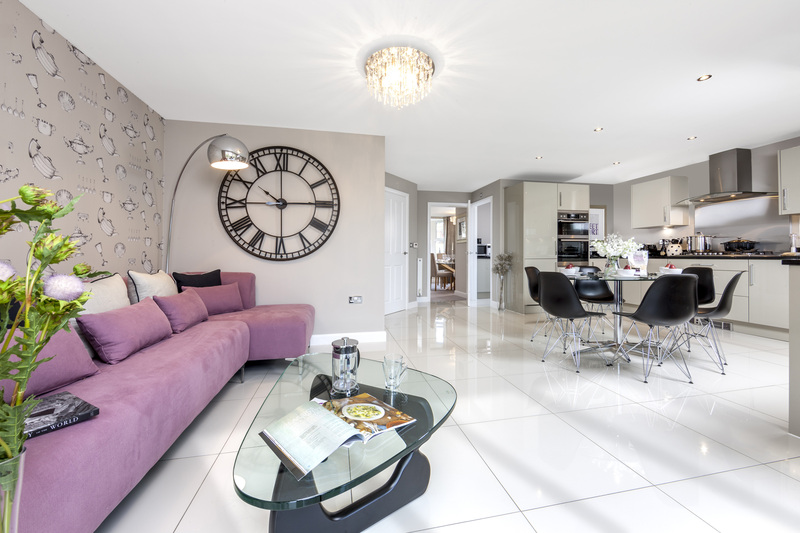 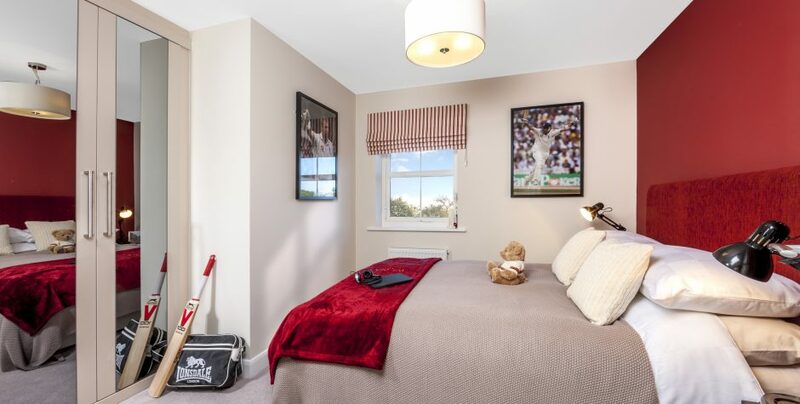 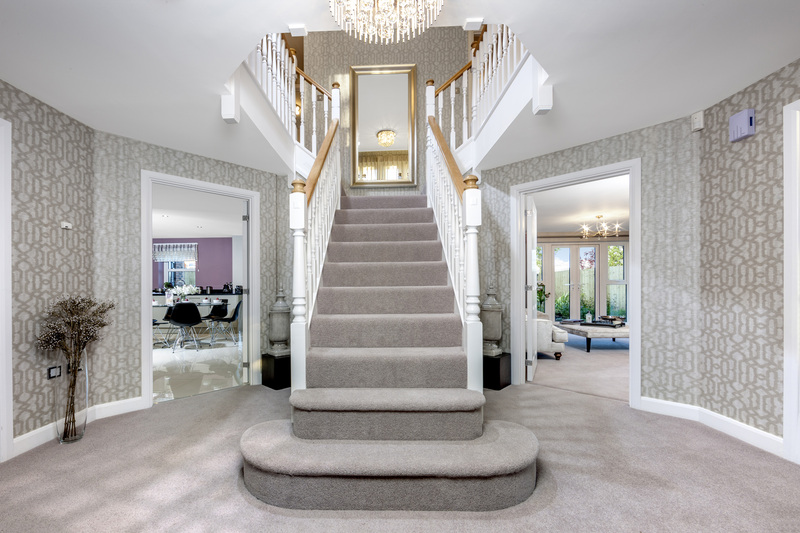 The Hurstpierpoint show home interior was dressed with a large family in mind. 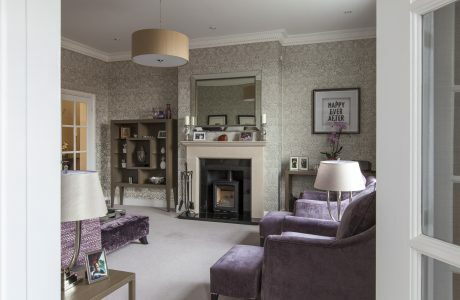 The main kitchen dining area, very much the heart of the home, features a large breakfast table as well as spacious sofa against a backdrop of Mulberry’s Family Silver wallpaper. 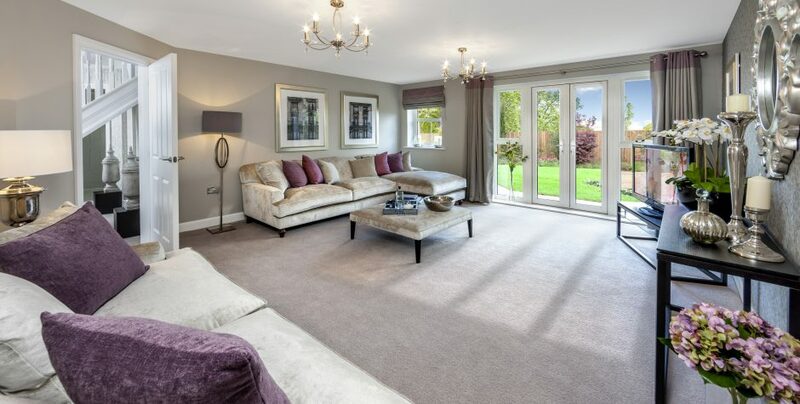 The two large sofas in the sitting room provide ample seating and the dining room accommodates a circular glass top dining table to accommodate eight. 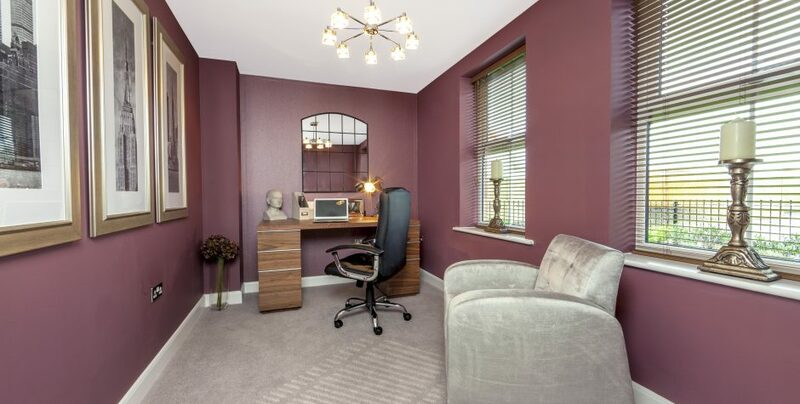 The study was decorated in a dark shade of mulberry and an intricate patterned wallpaper was used in the hall and landing space to create drama. 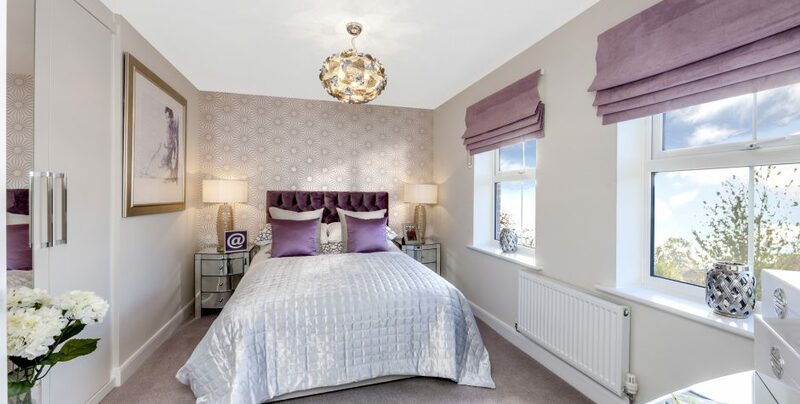 The master bedroom features GP&JBaker’s classic Edo wallpaper, the guest room is fresher with a palette of mulberry and white and the twin room bedecked with hearts and all things pink. 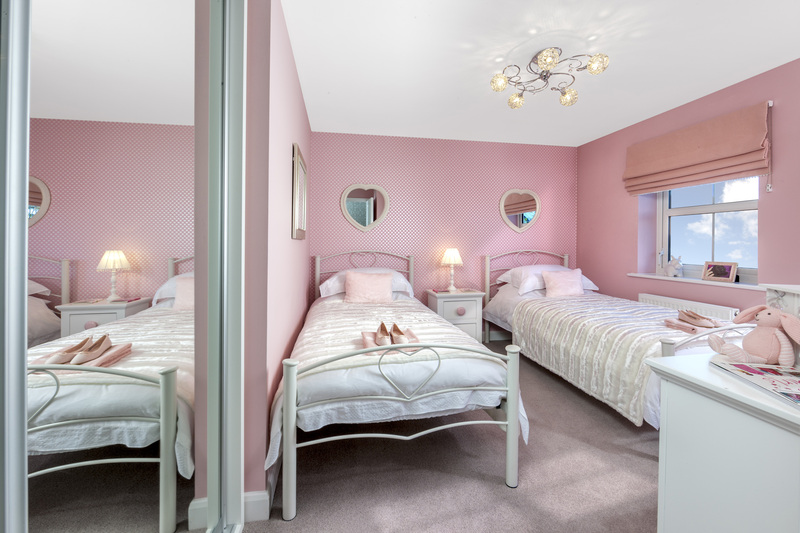 There are a further two double rooms; a cricket themed bedroom for a teenage boy and a glitzy silver and lilac room for a teenage girl.